Manchester United are edging closer to making our first summer signing. This is according to the Manchester Evening News, who report that Brazilian international, Fred could be signed by the start of next month, leaving no room for complication once the World Cup begins in Russia. It will be important to concourse the majority of our transfer business early in the window to help streamline pre-season preparations. 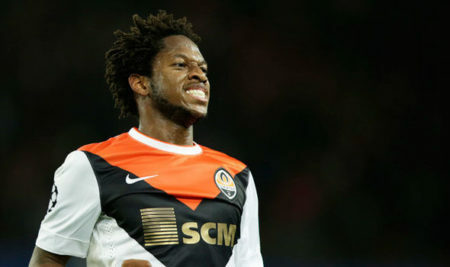 Fred currently plays for Shakhtar Donetsk and has become one of the most sought after players in Europe after his displays over the last two seasons for the Ukrainian outfit, who reached the Champions League Round of 16 last term. Following Michael Carrick’s retirement and the impending exit of Marouane Fellaini, Jose Mourinho acknowledged the need to sign a central midfielder and it seems that Fred is one of new faces that will arrive. The 25-year-old was reportedly close to joining Manchester City in the winter transfer window. Although the Citizens dropped their interest and are now more keen on Jorginho, there is reason to think that Fred could inspire United to a title, given that he plays such a pivotal role for Brazil. It is believed that Fred will undergo a medical next week at United’s training ground by taking a short break from national team duties. Why do so many people think we'll sign fred and savic ? What makes you think ed and the glazers would be willing to spend nearly a 140 million on two central midfielders ? Some of our fans live in a dream world. He will be part of Brazil’s squad that will play against Croatia at Anfield and is known for his all-action displays. United are in desperate need of a midfielder with good ball-winning qualities as well as a desire to push forward, so should he join, Fred could prove the perfect foil for Nemanja Matic and Paul Pogba.